Today I’m giving you a behind-the-scenes look at my own skin care routine. Over the past couple weeks I’ve talked about how skin care starts on the inside. An important part of my skin care routine involves eating a healthy diet, keeping my gut bacteria in balance, getting plenty of exercise, and finding relief from everyday stress. Today, I want to show you how I take care of my skin from the outside, because that’s also important. I live in sunny Florida, so I spend a lot of time outside. When I plan to spend more than just a few minutes outside, I usually put on a hat to keep my face out of direct sun. And I always apply sunscreen when I plan to be outside. The sun here is fierce. But even if you don’t live in a place as sunny as Florida, I hope you’ll take the sun’s rays seriously and protect your skin with sunscreen, hats, and proper clothing. Nothing damages your skin like the sun. Every morning, I wash my face with a cleanser. I like to change it up, so sometimes I use a soapy cleanser and sometimes a cream cleanser. After that, I apply a toner using a cotton swab for that extra clean feel. Next, I apply Nature’s Way Hydraplenish Hyaluronic Acid Serum with Vitamin C. Hyaluronic acid is a moisturizing nutrient already found in skin. Replenishing it helps moisturize. And vitamin C is a nourishing antioxidant that’s great for protecting the skin. Next, I use Keys Tortuga Body Lotion on the rest of my body to keep my skin feeling soft and smooth. At night, I wash my face again using the same cleanser I used in the morning, and I follow it up with the same toner. Then, I apply a cream that contains retinol, which is one of the best anti-aging nutrients around. I use retinol only at night because it makes the skin more sensitive to sun damage, so it shouldn’t be used in the morning. If your skin is very sensitive, retinol can feel a bit harsh. Start with a mild retinol formula and work your way up to a stronger formula over time as your skin gets used to it. Next, I use an eye cream to help tighten the skin and then a moisturizer over my whole face to keep my skin hydrated and smooth. You don’t have to use as many products as I do before you go to bed, and if you’re in your twenties or thirties you can skip the retinol and the eyecream. But I highly recommend that you at least wash your face to remove any makeup. Going to sleep with makeup on, after a long night or even during a hurricane like we experienced here in Florida recently, is never a good idea. I was tempted, but I knew it would be terrible for my skin, so I washed my face in the middle of the hurricane, tired as could be. It was worth the effort. The lastest trend in skin care is to apply oil to the face, either on its own or as part of an overall skin care routine. 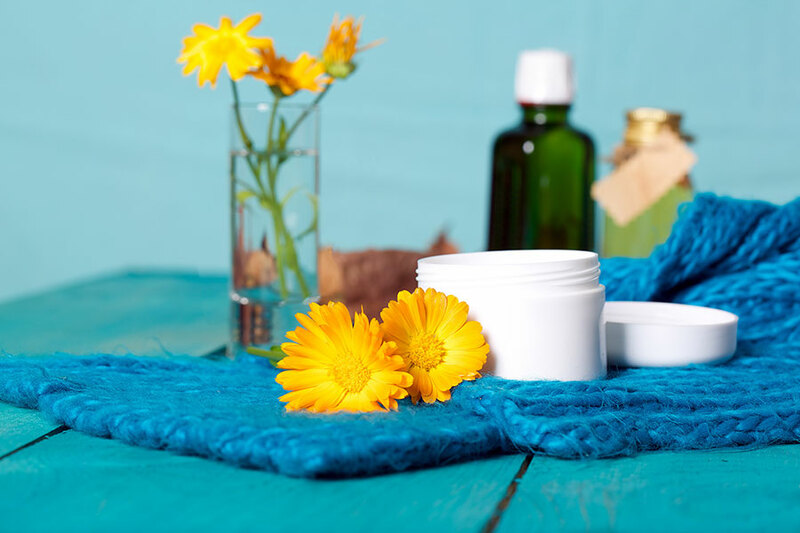 Self-proclaimed skin care “experts” will tell you that your skin naturally contains oils and that applying oils like coconut or argan oil is the best way to care for your skin. But these oils are not for everyone. If you tend to have large pores or blackheads, you might want to reconsider using an oil directly on your face every day—especially on the areas where your pores are largest. Some of these oils are more comodegenic (pore clogging) than others, coconut oil in particular. If you want to try an oil, start with a less comodegenic oil like jojoba, argan, or merula oil. Your best bet is to use these oils around the eyes where they won’t clog your pores. Mix egg white, yogurt, and the contents of a probiotic capsule together in a small bowl. Apply the mask to your face and let dry. Wash off with your favorite cleanser.